A number of furniture projects with Italian manufacturers following an Export Award from the London Enterprise Agency. 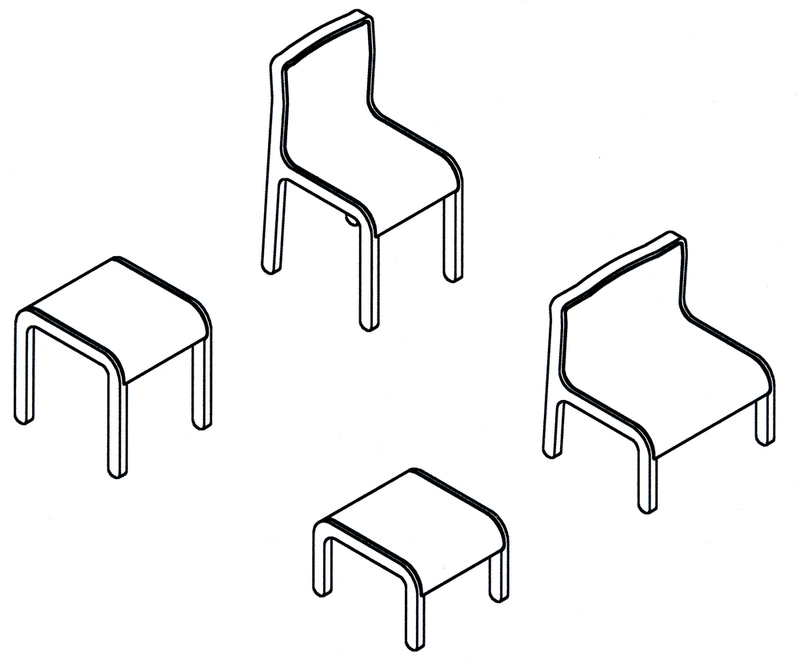 'Joe' is a modular family of chairs and tables commission by Consonni International. Manufactured from laminated veneers, the construction conceals the plywood edge. It features a handle recess on the underside of the top rail and a shadow gap that provides for upholstered versions. Both the lounge and dining versions are accompanied by stool/tables with matching side profiles manufactured using common tooling. 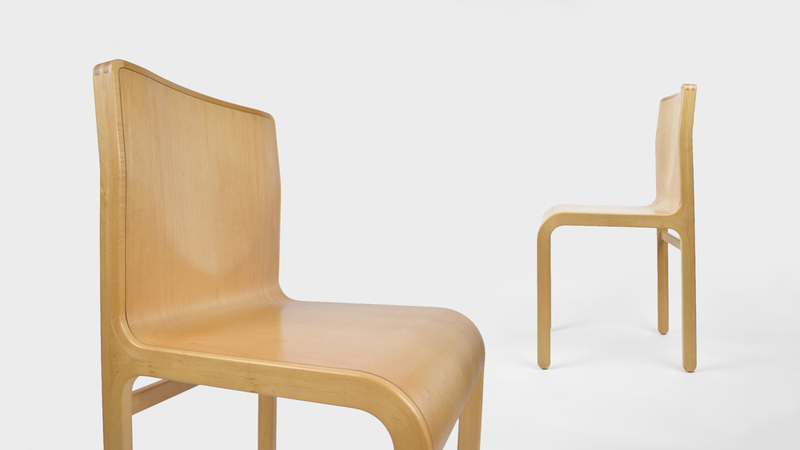 The chair was selected by the Geffrye Museum for the first Design Centre Exhibition, Geffrye Design Centre, London. It was also exhibited at Harley Gallery, Worksop in 2014.